Don’t you just love Aeonium Sunbrusts? The variegation naturally brightens any garden, patio, or balcony, and once established it needs occasional watering. 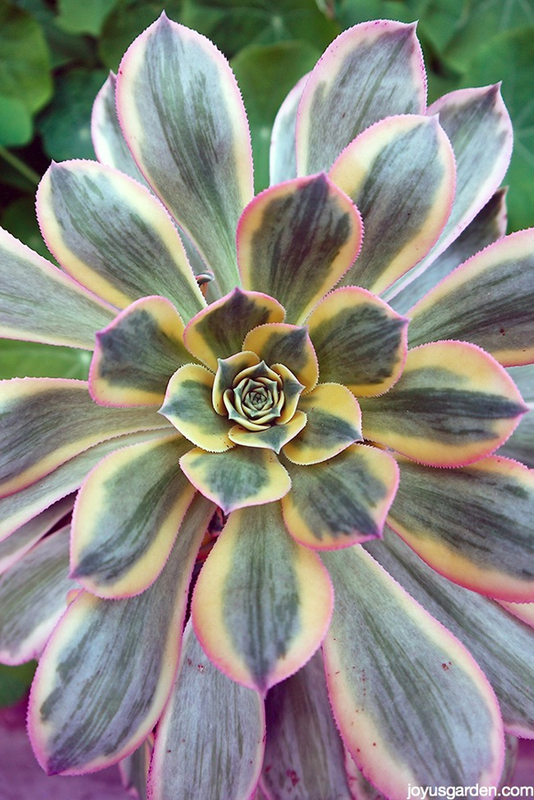 This beautiful photo was provided by Author Nell Foster who has a great article and video on Aeonium Sunbursts. Check them out, and while you are there be sure to read about Nell and her growing business, Joy Us garden.